It’s all about diaries. At least the missing one (or a collection of papers) of Arthur Conan Doyle’s that inspired many Sherlockians for years. 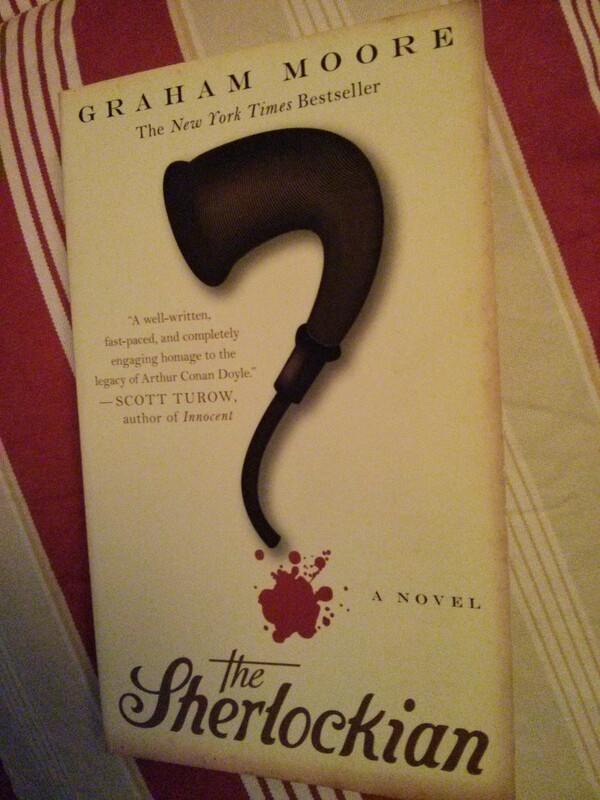 And it obviously inspired Graham Moore, the script author of the film “The Imitation Game” to write the lovely novel “The Sherlockian”. As you may guess from the title: it really is a story that only true Sherlock Holmes-fans will appreciate. He looked down at the tiny silver piece. It was a Victorian-era shilling, worth only five pennies in its day. It would be worth a lot more than that now, and to Harold it was worth a fortune. He blinked away the moisture that had formed in the corners of his eyes. The coin meant that he had arrived. That he had achieved something. That he belonged. Harold White is a brand new member of the Baker Street Irregulars in New York and bursting with pride and excitement when he joins other members for a meeting. While he suddenly finds himself dealing with the murder of the leading Holmes scholar, he is sure to find the answers to that case in London. In the London of the 1890/1900s, Arthur Conan Doyle has to deal with fans who wouldn’t accept that the author has killed Sherlock Holmes by throwing him into the Reichenbach Falls. Arthur Conan Doyle curled his brow tightly and thought only of murder. “I’m going to kill him,” Conan Doyle said as he folded his arms across his broad frame. The story switches with every new chapter between modern times and the past and while you sometimes are about to either throw away the book or go straight to the next chapter because you just want to know what Doyle or Harold will do next. But of course you just go on reading simply because this book has hooked you from the beginning. At least if you are a Sherlockian. This web site can be a stroll-by for the entire info you needed about this and didn’t know who to ask. Glimpse here, and you’ll positively discover it.